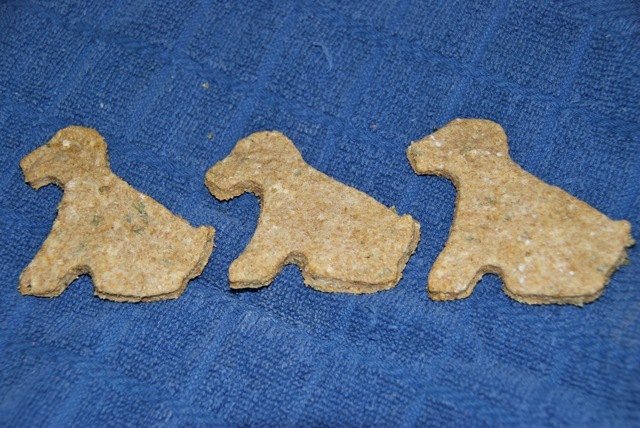 Since Kaiser loved my Peanut Butter Dog Treats so much, I decided to try another recipe out on him. 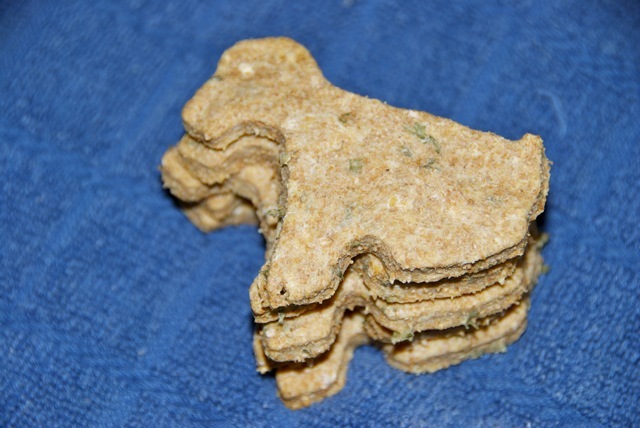 If there’s anything that dog likes as much as peanut butter (and toilet water), it’s cheese. Except Swiss, which for some reason he’s decided he doesn’t like anymore. But that’s another story. Preheat the over to 350 degrees. 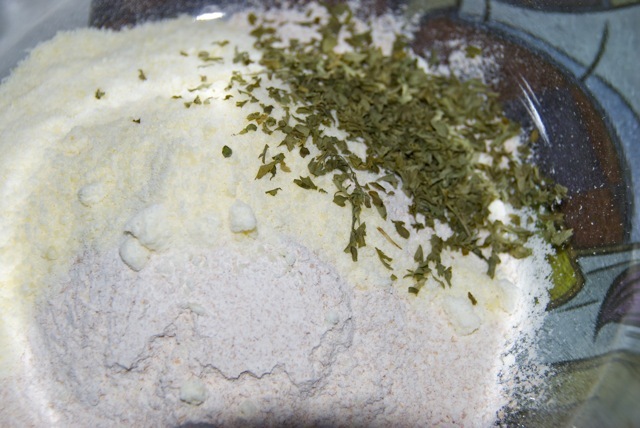 In a medium mixing bowl, combine the dry ingredients. 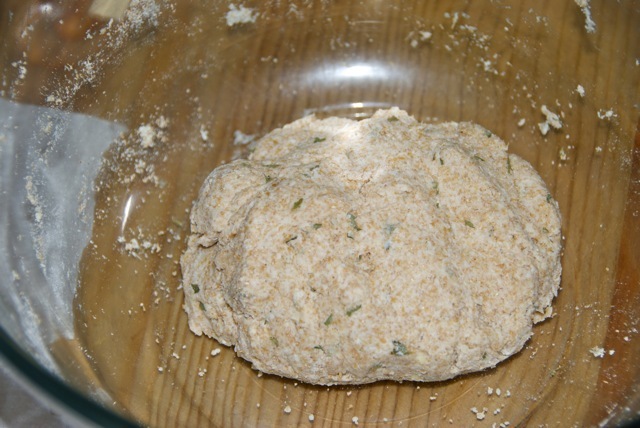 Add the water, and knead everything together into a ball. 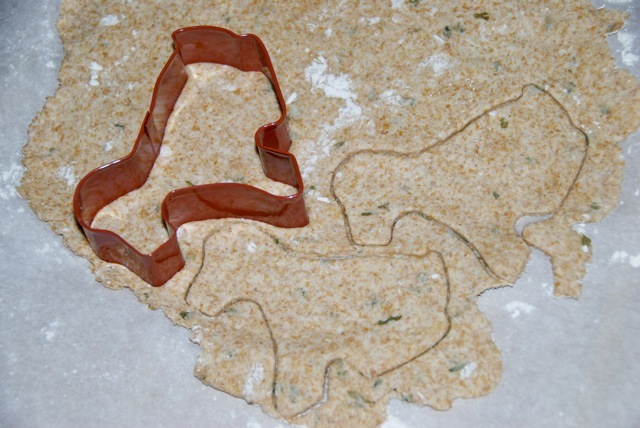 Roll out the dough on a piece of parchment paper or floured surface, and cut into shapes. 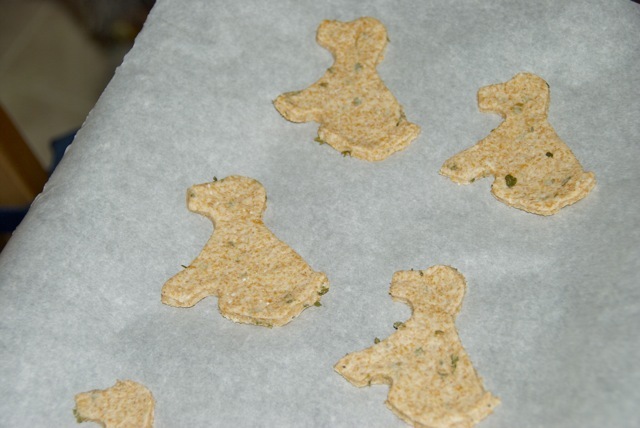 Transfer the treats to a parchment lined baking sheet. 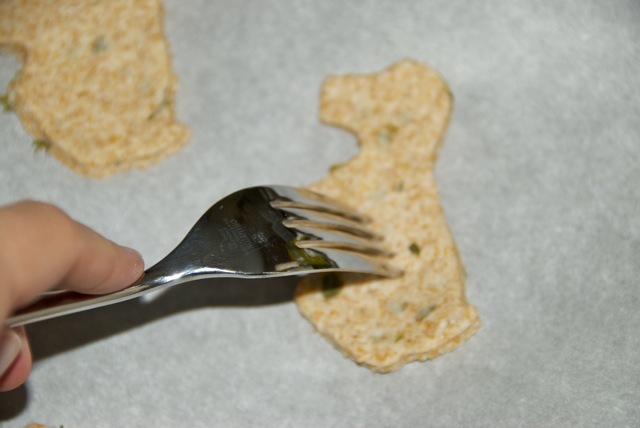 Poke each treat with a fork to prevent them from bubbling in the oven. 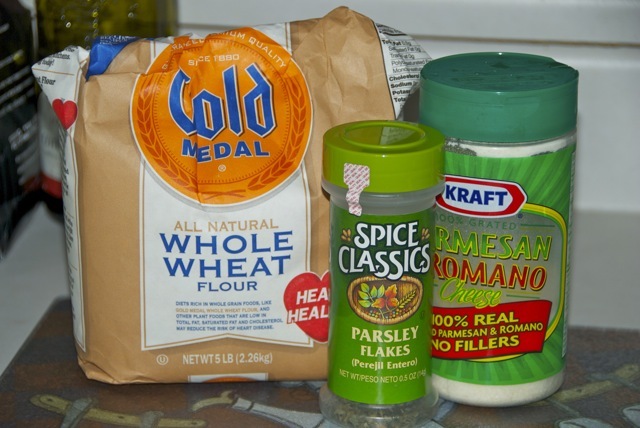 Bake for 30 minutes until slightly browned, and let cool. 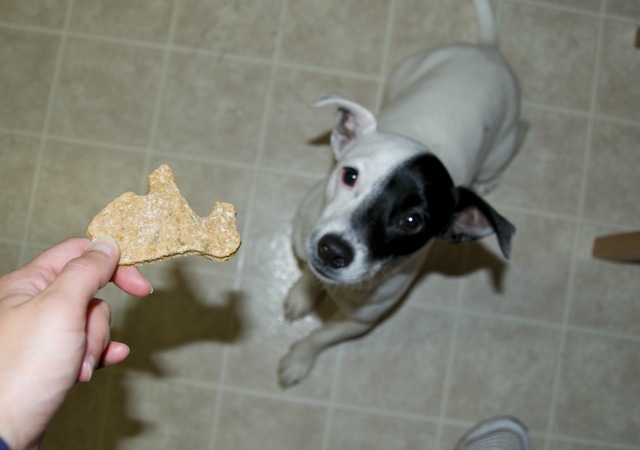 Kaiser had his friend Harvey over to play, and they were both very excited to try the treats. They gobbled them all down with no complaints, and wouldn’t leave me alone in the kitchen when I moved on to cooking some people food. I’ll take that as a compliment! 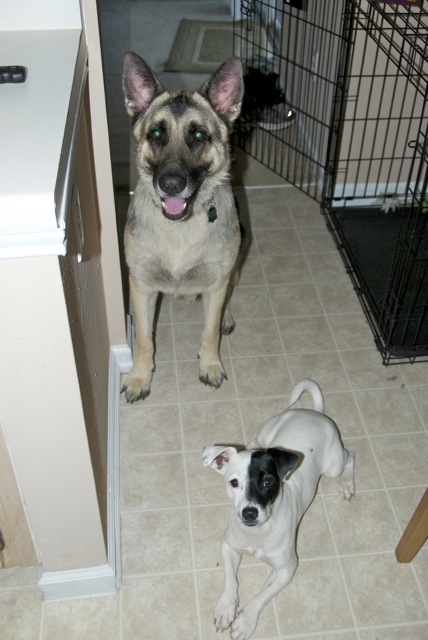 With these two around, I’m sure some more treat recipes will be coming soon! I glad they liked them, and they both look so cute in that picture. Woof!